Amazon just discounted this lens by £170 to £1,829 - typically retails at £1,999. Potentially an anomaly, as Sony winter cash back is a further £170 - taking this down to £1,659. By far the cheapest this lens has ever been available from a UK stockist, and cheaper than any grey importers. Currently out of stock, but due back in within a few days. I think it's the same on the A7, price matching another site's price quoting the price with the cashback discount. I've wondered if this lens might somehow be related in optical design to the old Minolta 28-135mm (often referred to as "secret handshake" ). what am I missing, seems very expensive for only f4? as oppose to your uninformed ones..
want to actually post about the deal? or you have nothing to contribute? as oppose to your uninformed ones..want to actually post about the deal? …as oppose to your uninformed ones..want to actually post about the deal? or you have nothing to contribute? what do you want me to say about the deal? that's more useful. To me this lens is too expensive when compared against nikon/canon. Maybe you could also comment on the other thread as to why you think cropping on an rx1 is a poor idea. that's more useful. To me this lens is too expensive when compared against …that's more useful. To me this lens is too expensive when compared against nikon/canon.Maybe you could also comment on the other thread as to why you think cropping on an rx1 is a poor idea. I do compare the value of lenses from one system to another; but it seems you don't. guess you must have so much money its not an issue. Re cropping; do you understand that an rx1 is much higher resolution than the rx100? So far your comments haven't shown any understanding of the issues. I do compare the value of lenses from one system to another; but it seems …I do compare the value of lenses from one system to another; but it seems you don't. guess you must have so much money its not an issue.Re cropping; do you understand that an rx1 is much higher resolution than the rx100? which lenses did you use to compare with? 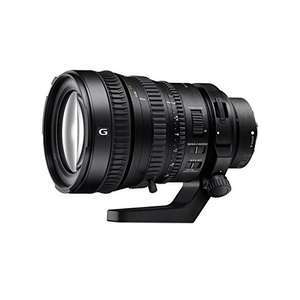 Nikon / canon do 2.8 max aperture zooms for this money. And ok I see you haven't understood that the effective resolution of the rx1 is above the rx100; it has much bigger pixels as it is a ff sensor. Nikon / canon do 2.8 max aperture zooms for this money.And ok I see you …Nikon / canon do 2.8 max aperture zooms for this money.And ok I see you haven't understood that the effective resolution of the rx1 is above the rx100; it has much bigger pixels as it is a ff sensor. nono, i didn't ask for generalities - which lenses are you comparing this one with? I believe it will be quite a bit better as the sensor is so much bigger in the rx1. I believe it will be quite a bit better as the sensor is so much bigger in …I believe it will be quite a bit better as the sensor is so much bigger in the rx1.